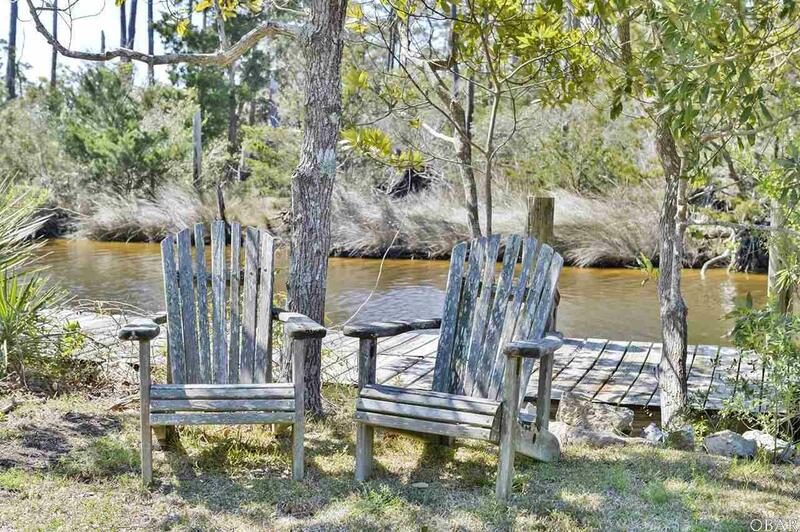 The sunrises & sound views cannot be beat from this unique waterfront property. 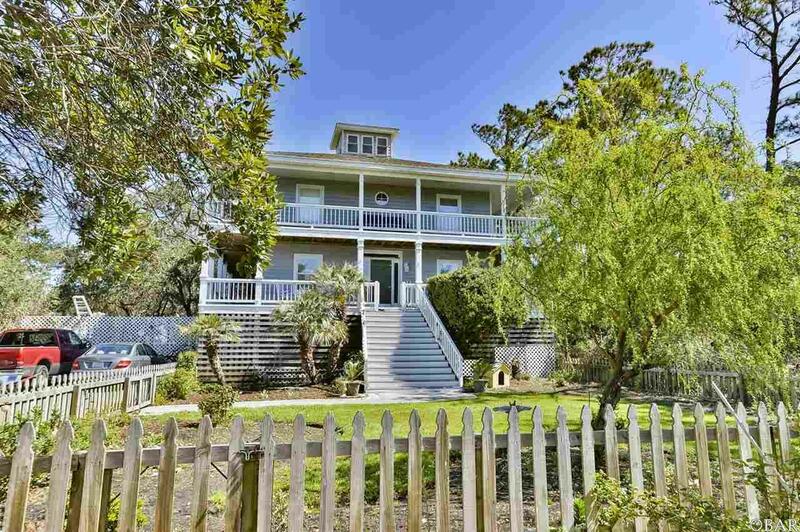 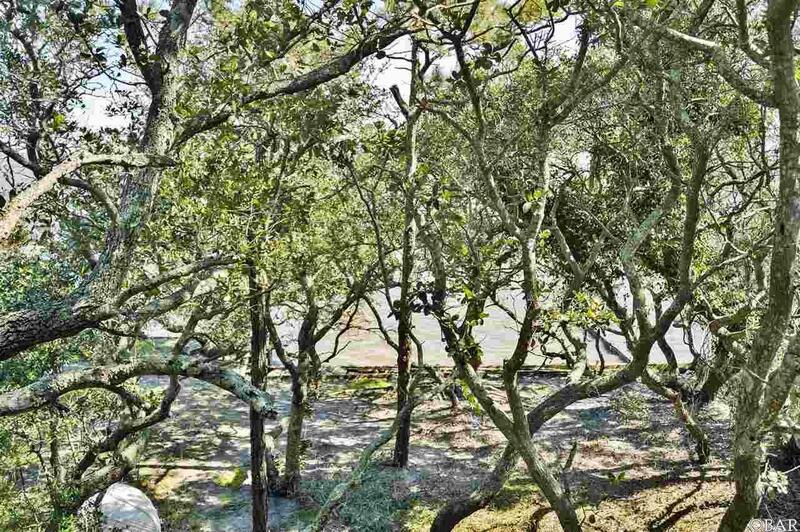 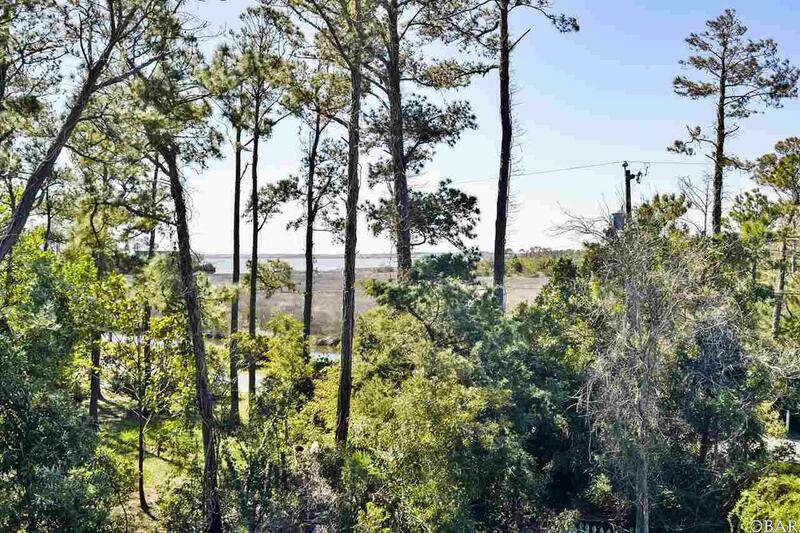 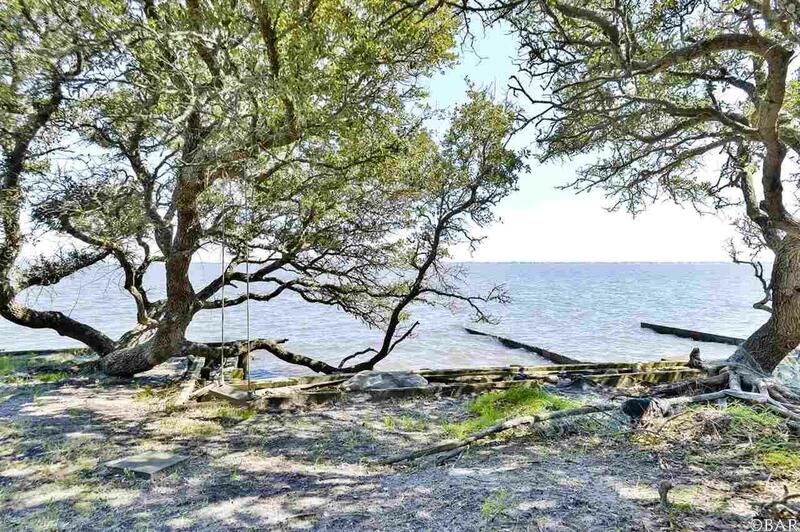 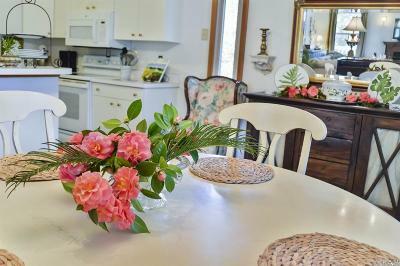 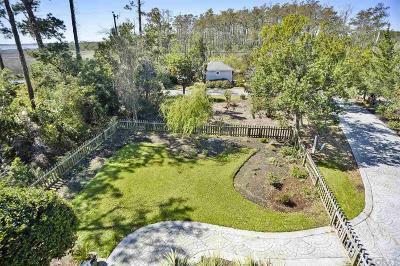 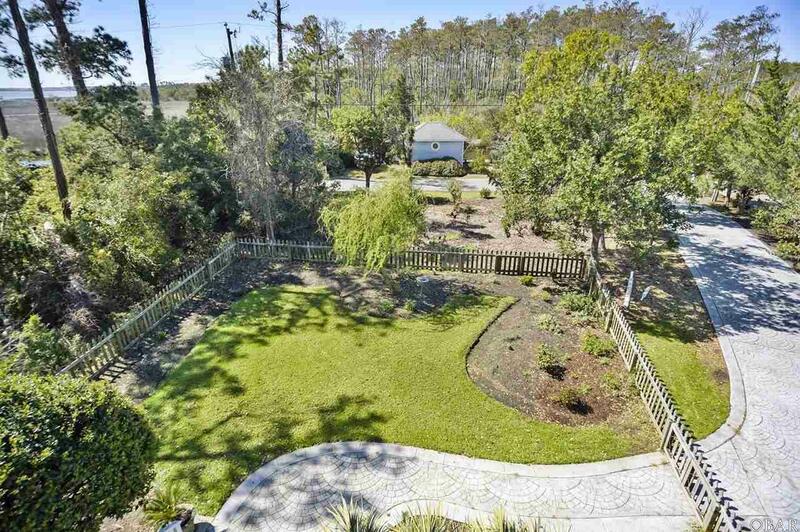 This home sits on a sound front and canal front lot with a bulk headed beach on the sound side that offers a panoramic view of the Roanoke Sound and Jockeys Ridge. 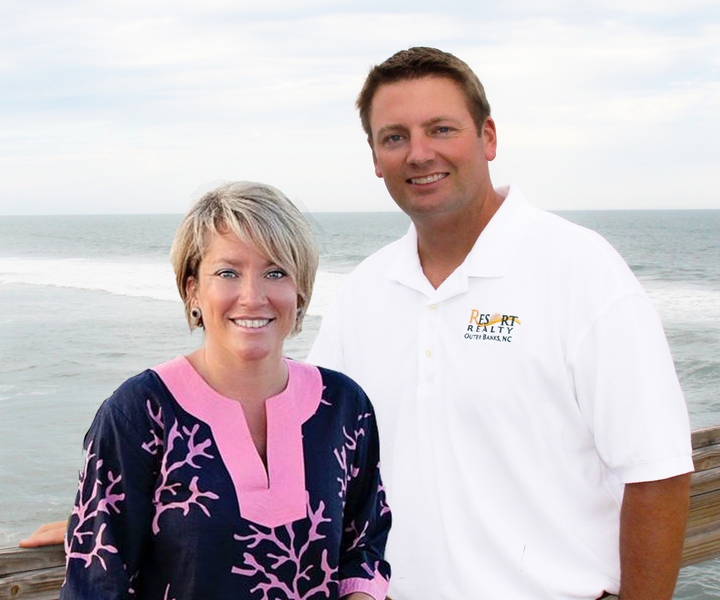 You can see from Kitty Hawk to Nags Head on a clear day. 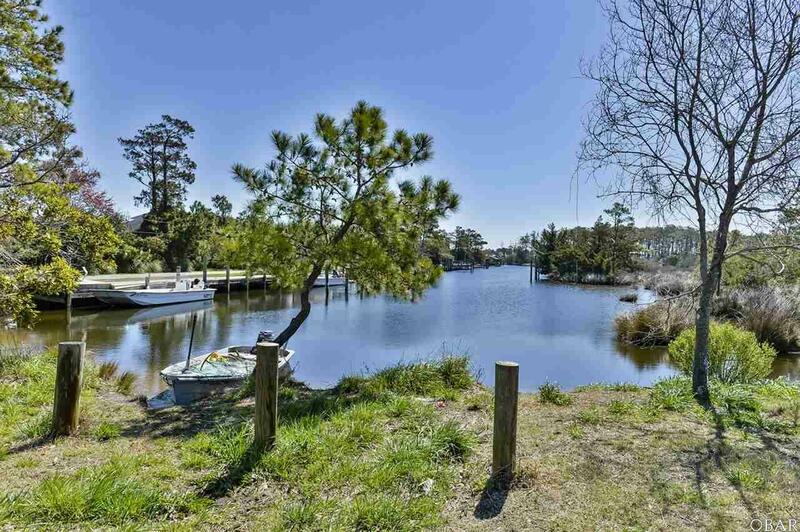 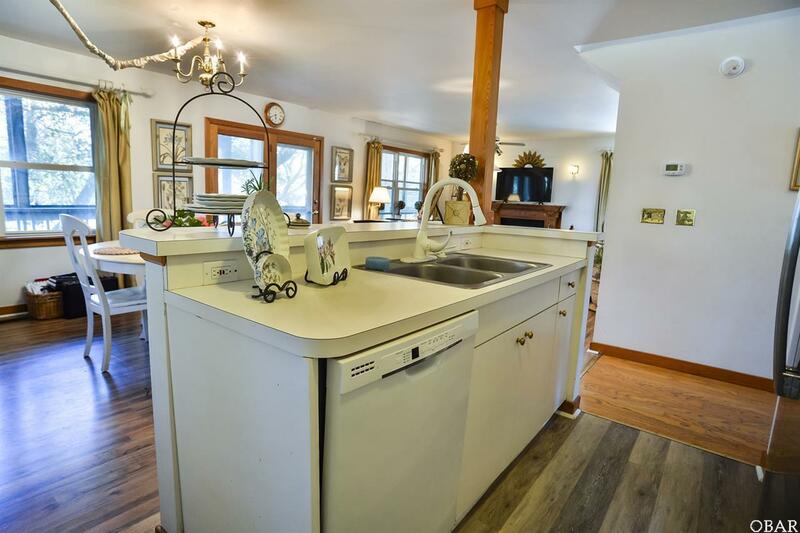 Just one of the unique aspects of this property is that it also offers a protected deep water canal with space to dock your boat and a boat house to store all of your fishing gear. 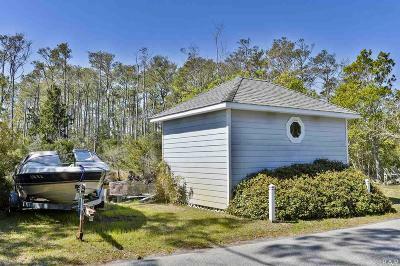 Hop in your boat and be in the sound within minutes or take the short boat ride to the Atlantic to enjoy one of a kind fishing. 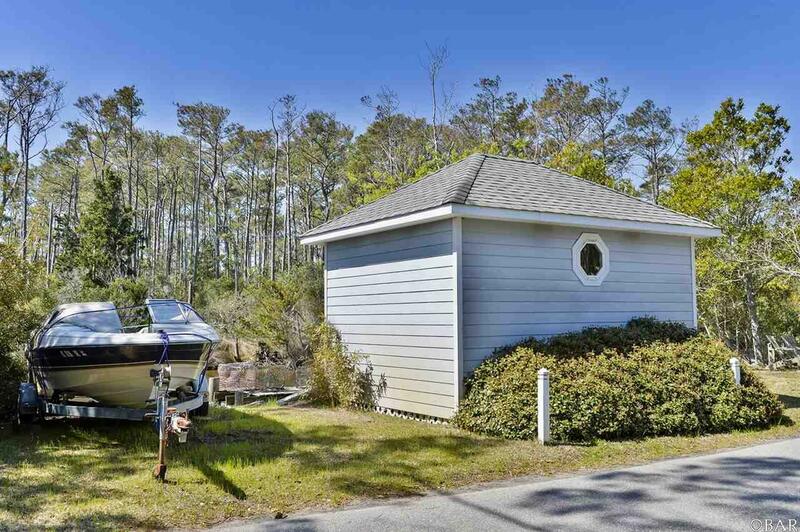 Only a short ride to the beaches of Nags Head, yet far enough away from all the hustle and bustle of beach life. 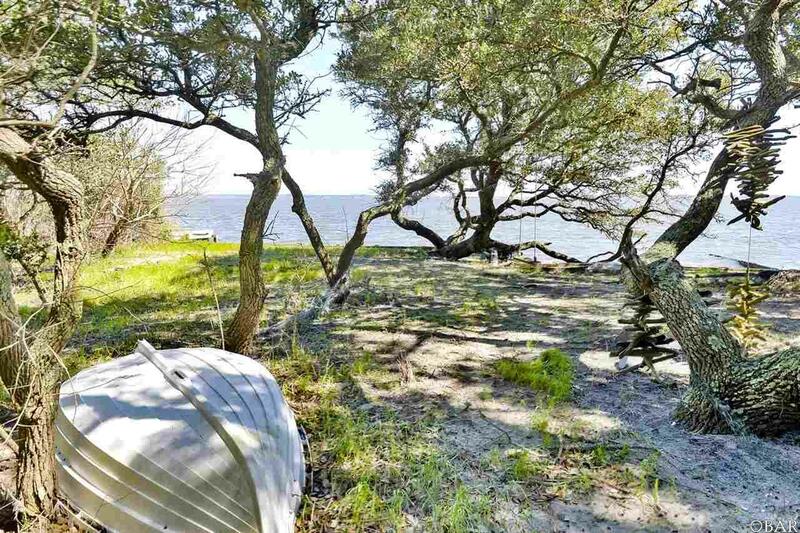 Hop on your bike and explore downtown Manteo where you can enjoy shopping, dining, Roanoke Island Festival Park, NC Aquarium, Elizabethan Gardens, and the Manteo Airport. 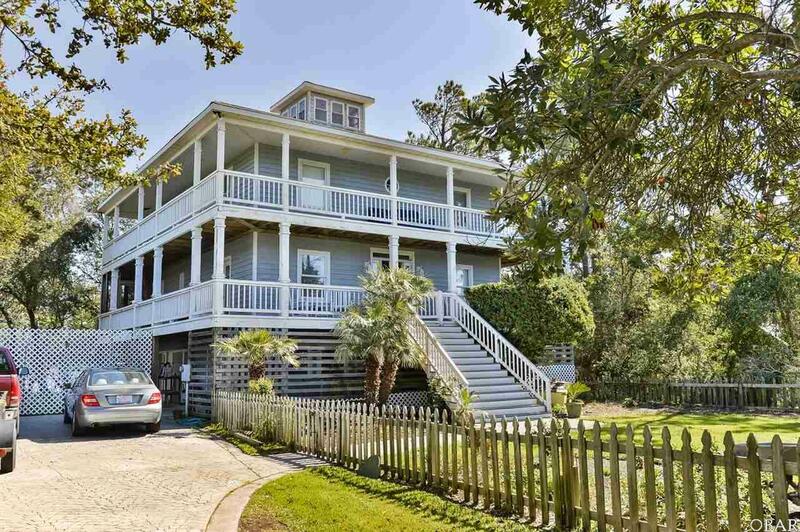 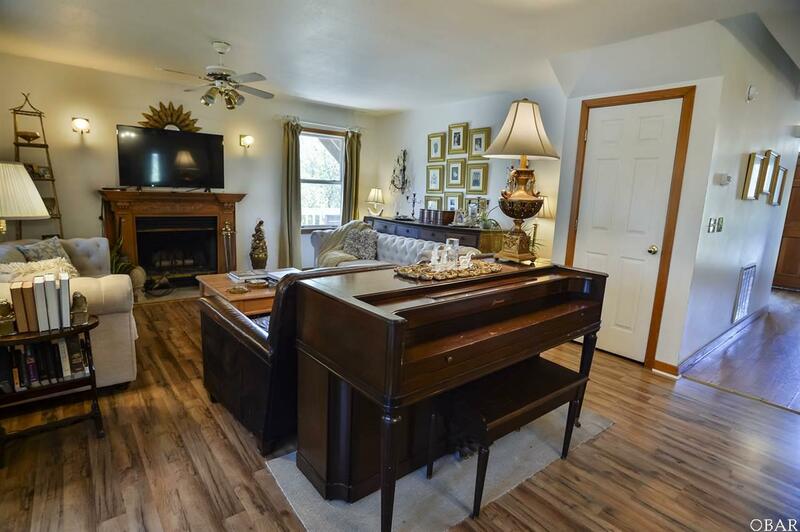 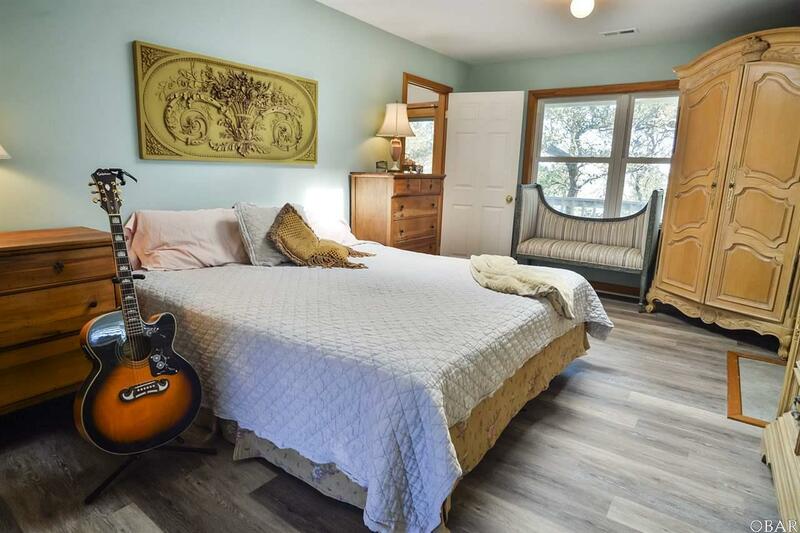 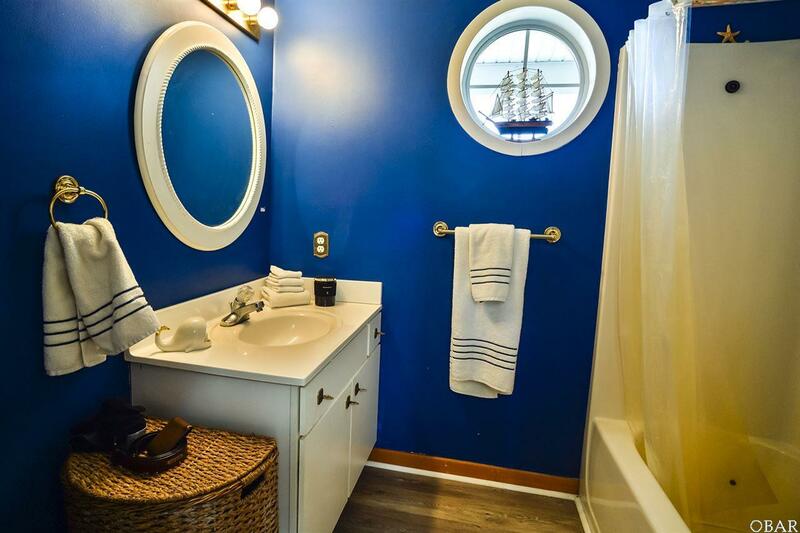 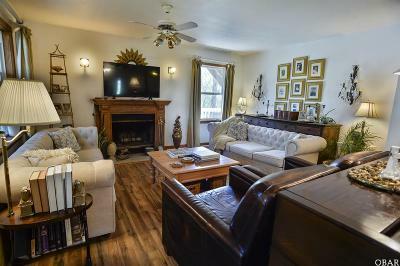 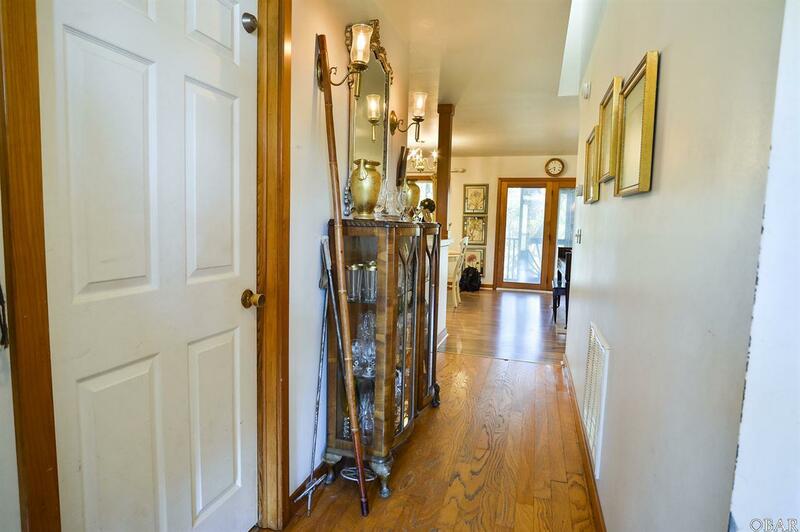 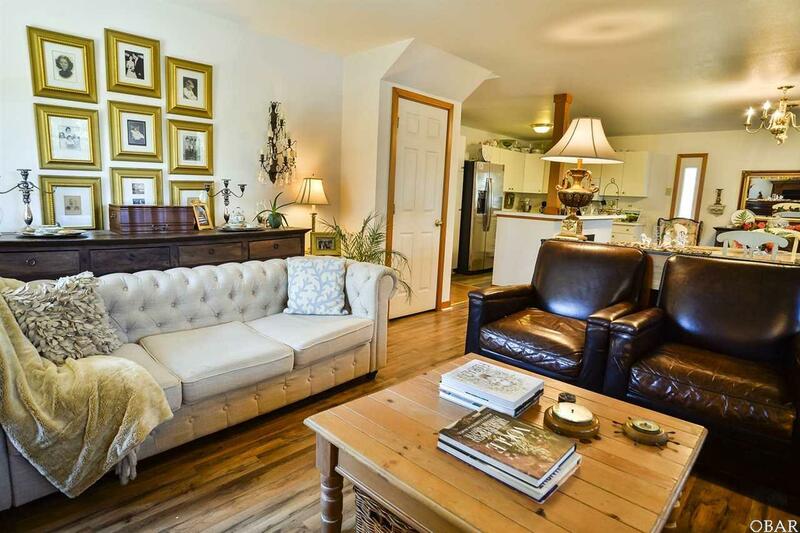 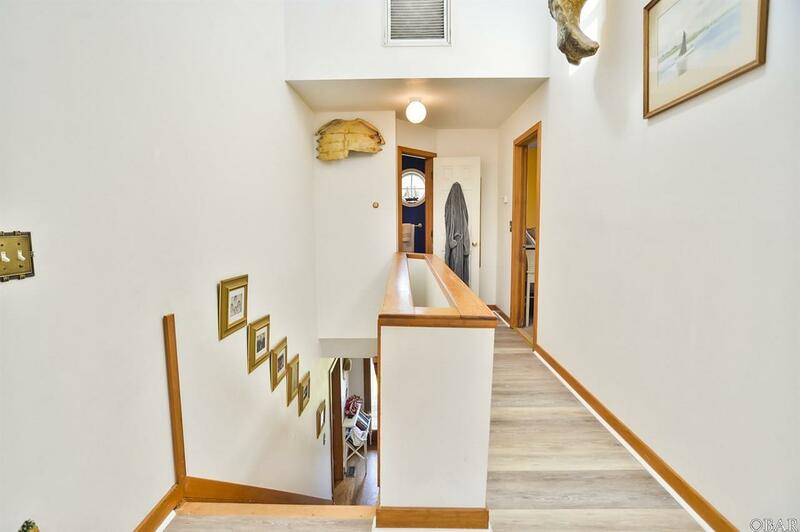 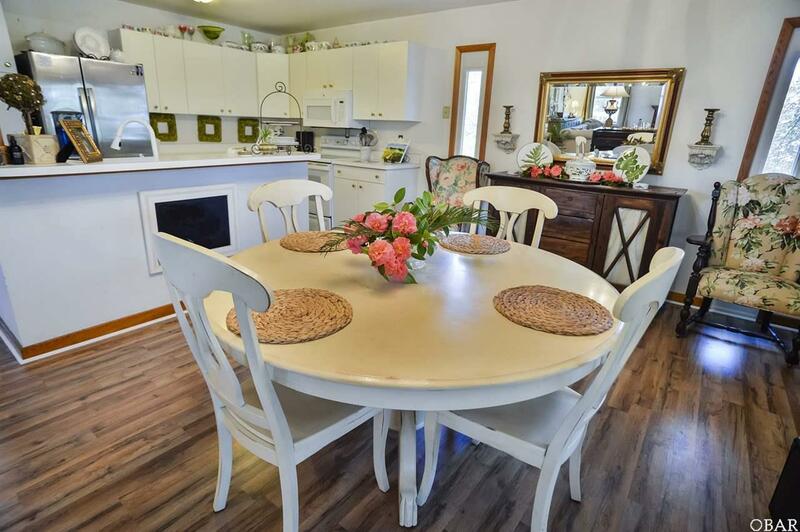 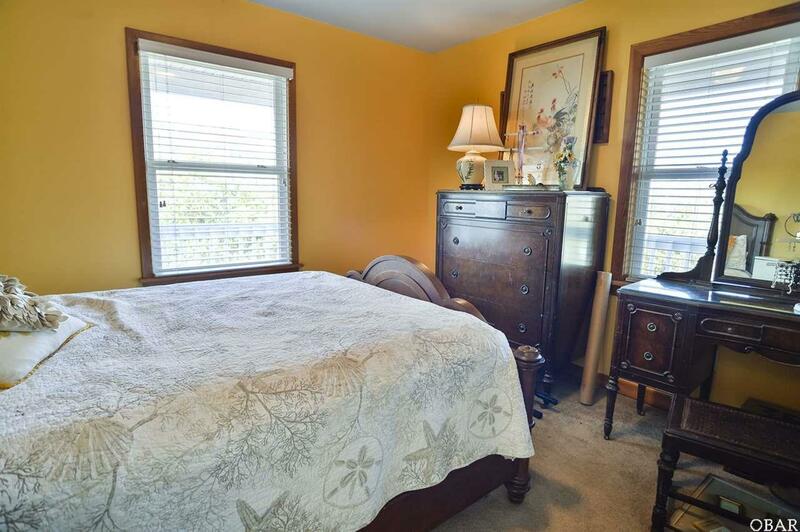 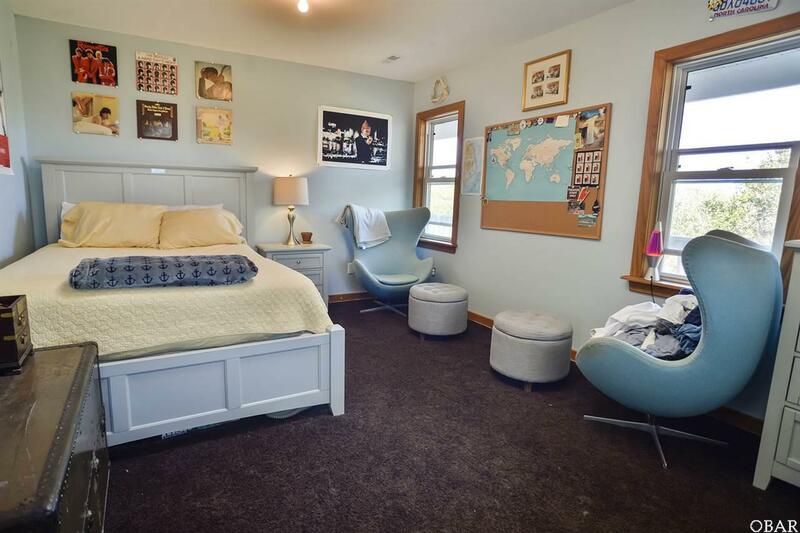 This house has 3 bedrooms/3 baths with views of the water from almost every room. 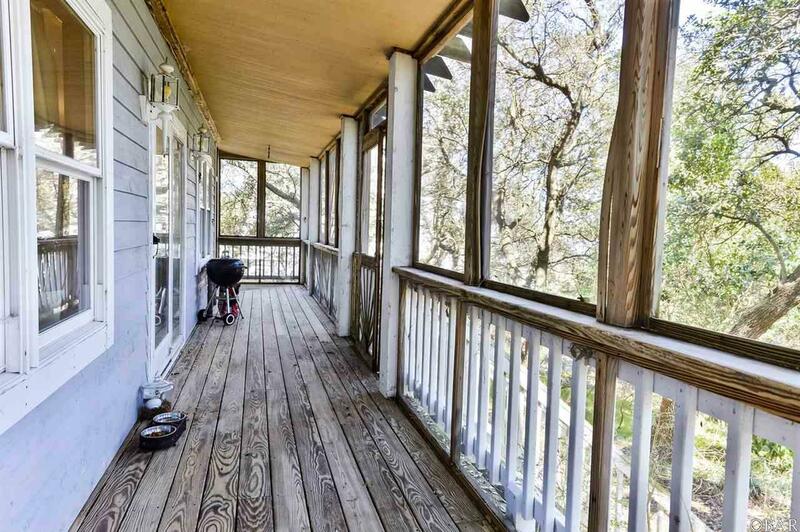 The double wrap around covered porches offer a wonderful outdoor getaway during any type of weather. 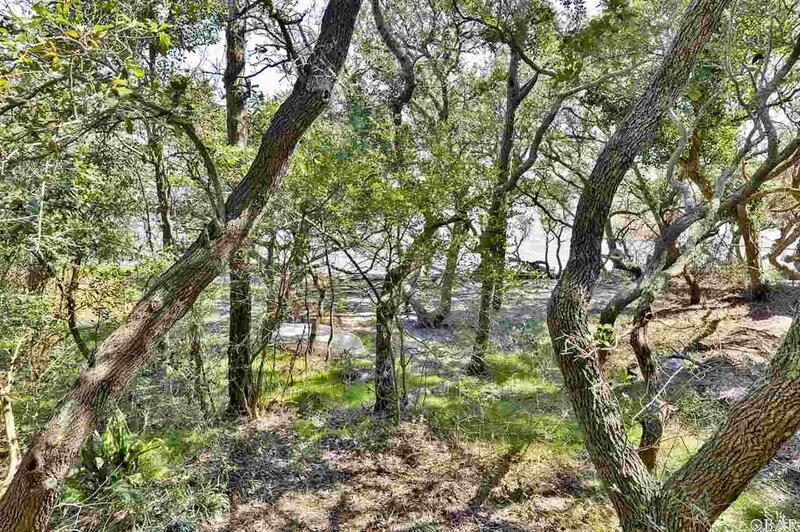 Spend evenings overlooking the sound right out the back door or enjoy time in the back yard that is covered in Live Oaks. 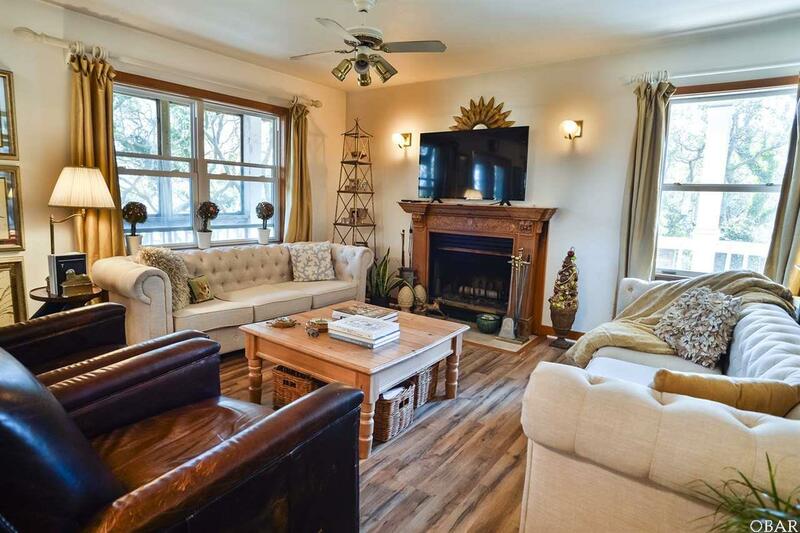 On the chilly winter nights sit back inside by the wood burning fireplace in the beautiful great room. 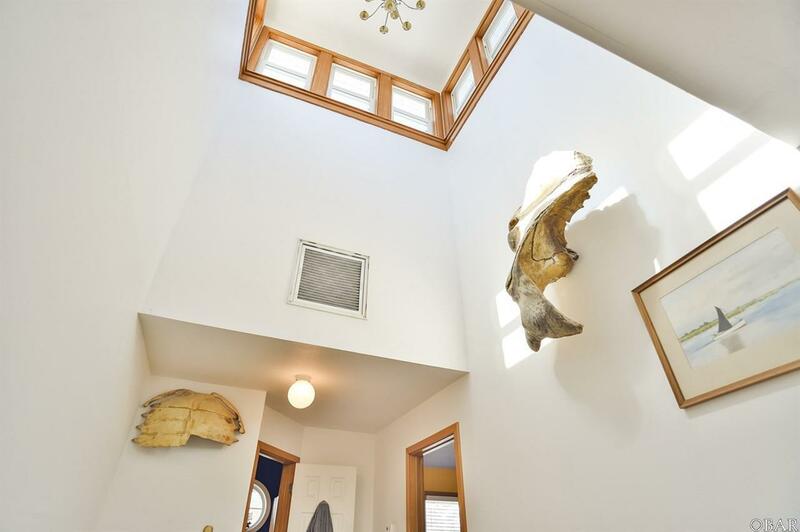 The natural light in this home is abundant with the many skylights and windows which wrap around the home. 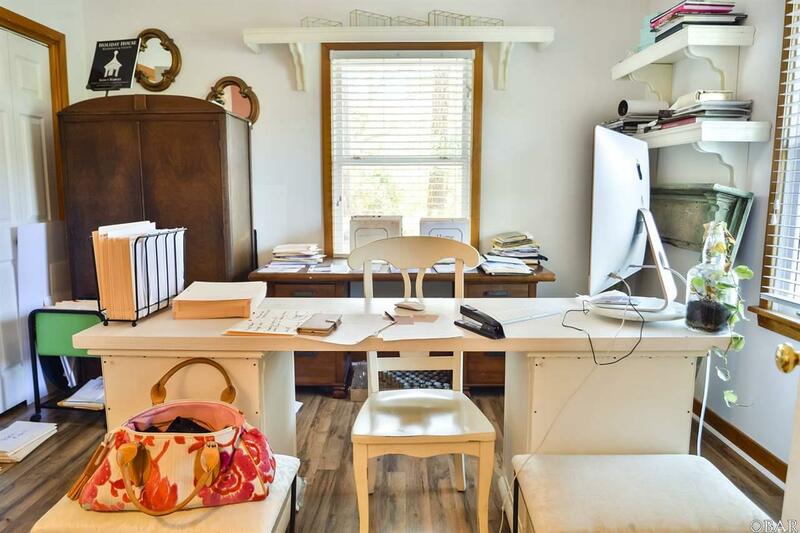 Travel downstairs and check out the huge man-cave, perfect for a workshop or office. 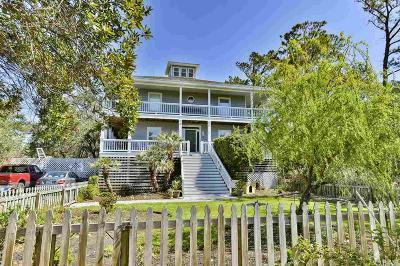 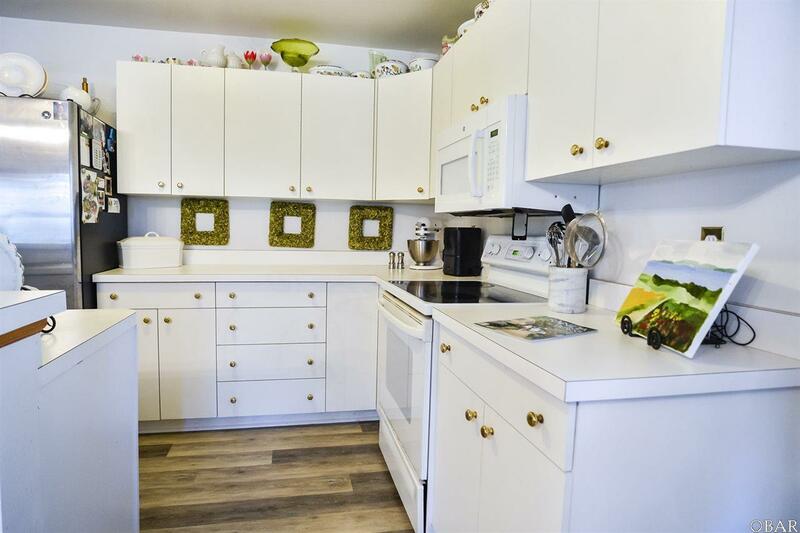 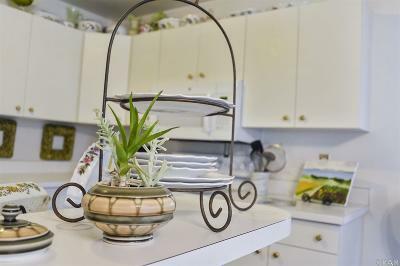 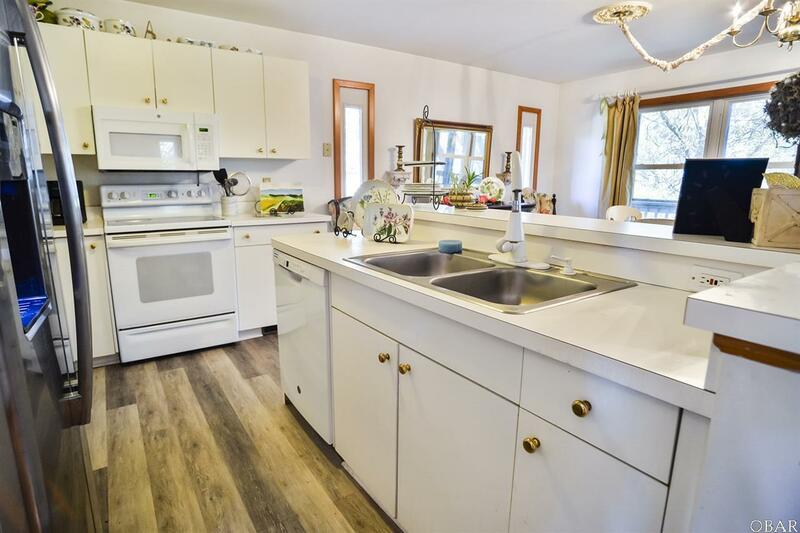 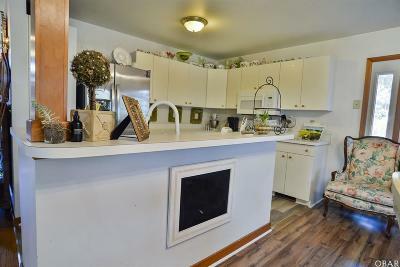 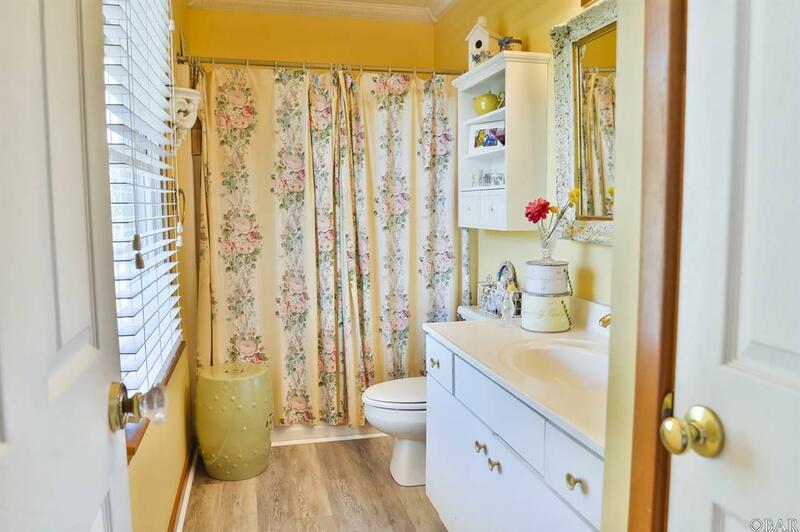 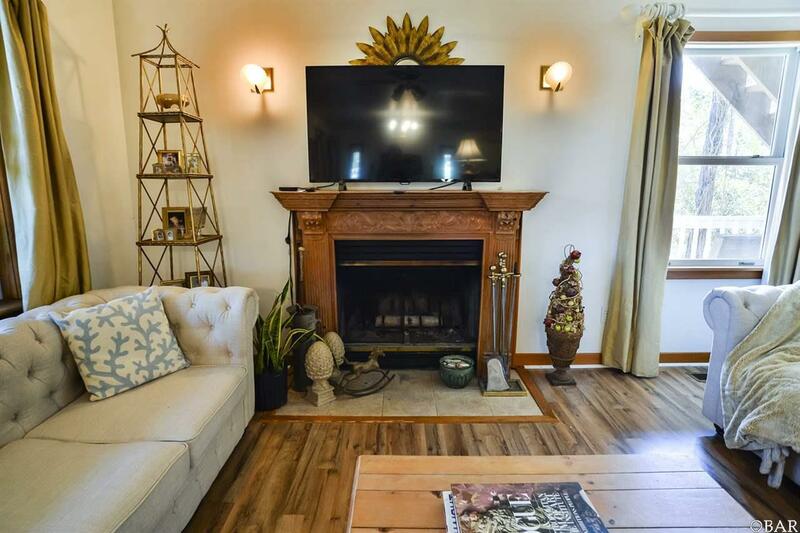 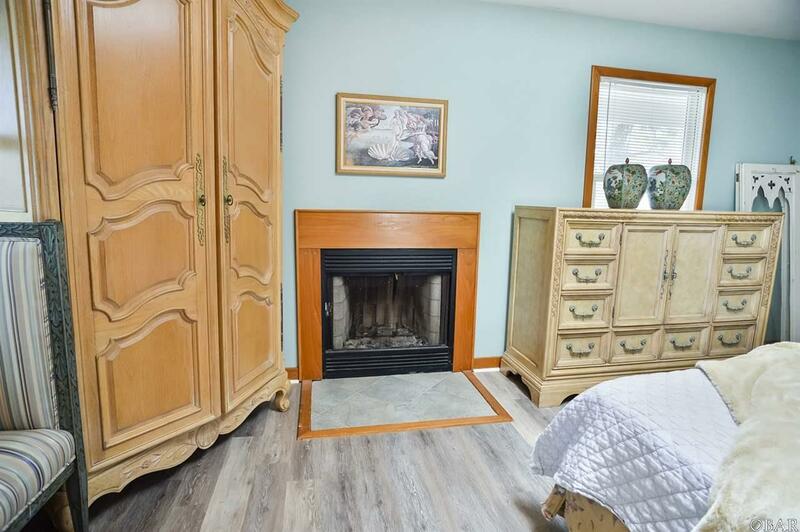 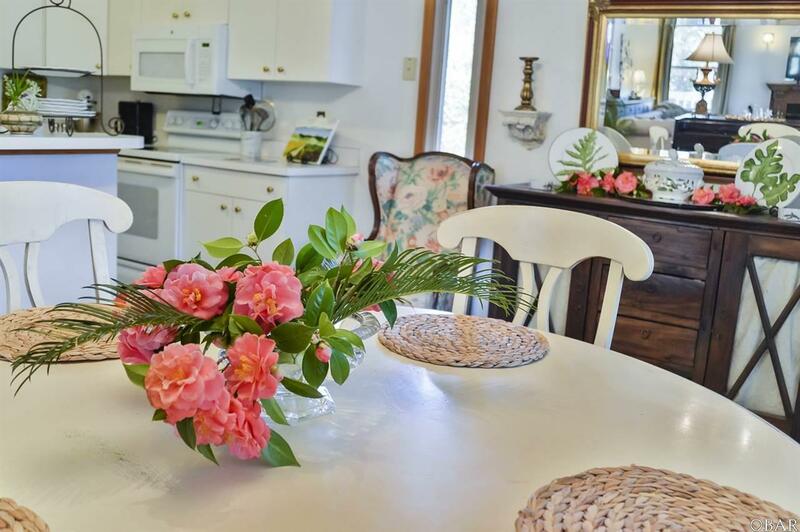 The outside of the home is a gorgeous private oasis with the sandy beach out your back door, plenty of room for a garden, or a boaters paradise out front. 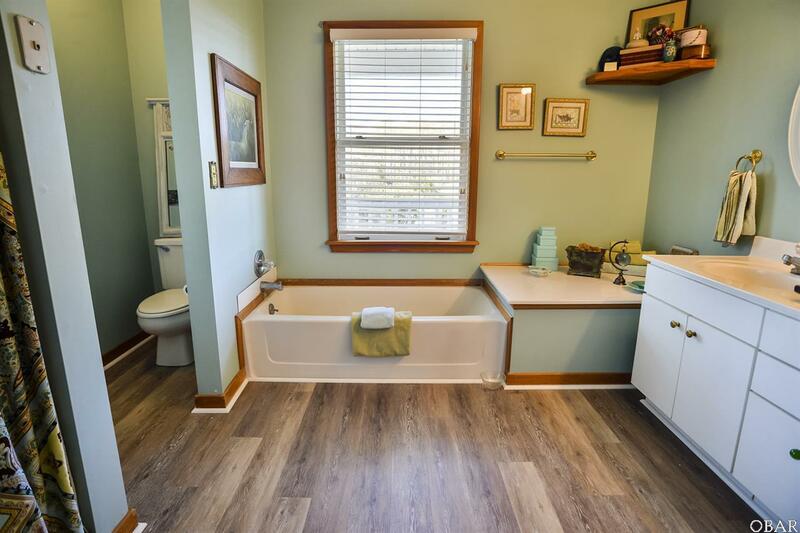 The possibilities are endless with this property.